When it comes to health, it is not just your family you need to think about. The health of your home is just as important, and in many ways it is directly linked to your family’s health. So here is a handy seasonal home heath checklist to get you started. Gutters: Over the winter months, leaves and debris from last year’s fall will have collected. This needs clearing so rainwater can drain away, as blocked gutters and fall-pipes can cause water damage. Once cleaned, it could be worthwhile having some covers fitted to the guttering so this time next year there won’t be as much to do. 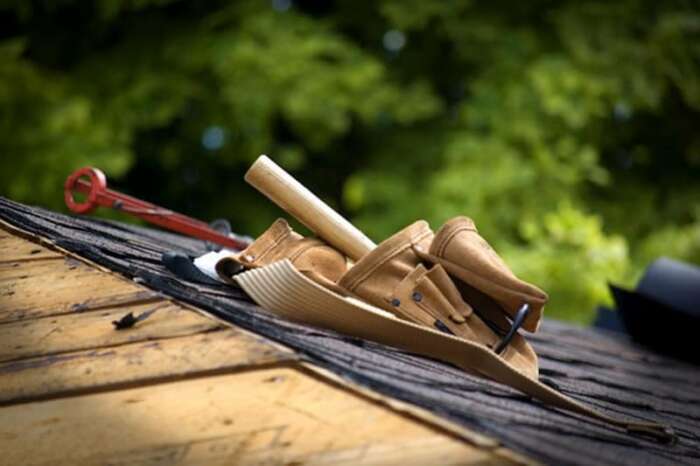 Inspect your roof: The cold and frost can cause all sorts of damage that if left untreated can become a whole lot worse, and expensive to repair. If you see any signs of damage, it is worth contacting roofing companies in Sioux Falls if you are in the South Dakota region. Air con: Now’s the time to service your HVAC. Do it now. It will save you money, as it will be working efficiently when you need it. Summer is the perfect time for doing any little outside chores you missed during the wetter, colder months. Bugs: The perfect time to notice bugs and other pests is the summertime. An alternative to ant poison is to use the most pungent smelling talc you can find, as it masks their own odor so they end up attacking themselves. A good tip if you have adventurous children or pets. Kitchen and bathroom grouting: Check grouting for damage and repair as necessary. Clean the fridge coils: As dirt builds up on the coils, it reduces the fridge’s running efficiency by up to 15%. By vacuuming the coils, you could save up to $100 a year! This is the season to prepare for the winter months before it’s too late. Outside faucets: Time to turn off and flush outside faucets, and put away hoses to protect them from frost. Heating: Time to service your heating system, which includes boiler checks. Also, have your chimney swept if you have one. It may be worthwhile checking doors and windows for draughts as well. Time for all the jobs inside that are put off when it’s warm outside. Check bath and showers: Showerheads should be cleaned periodically to remove sediment, which improves their flow. Bath and shower seals can be inspected for leaks and caulking reapplied where necessary. Change batteries in smoke/carbon monoxide detectors: Often overlooked until you need them to work, it is always prudent to change these batteries at least twice a year. Even hard-wired detectors have a battery backup in case the power goes off. By all means not a long list, but it’s a start that gives you some of the most important seasonal home health jobs to do. After all, prevention is better than cure – and usually cheaper in the long run.